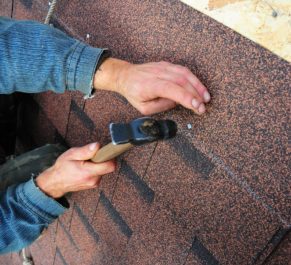 We are also the residential roofing contractors to turn to if your roof needs to be replaced. We offer a complete roofing system that is waterproof, able to withstand the elements, and provides proper attic ventilation. This protects your roof against mold and mildew growth, prevents premature deterioration, and helps manage attic temperatures in your home. We also back our roofing installation work with a five-year labor warranty, so your investment in your home will be protected. If you would like to learn more about the factors that make Daech & Bauer Roofing one of the most trusted residential roofing contractors in the Collinsville, IL area, contact us today.